Vintage Style G125 7.5W LED Filament Bulb Style - Vintage Filament Wattage - 7.5W .. Range - Empire Finish - Antique Brass Amp - 10A Size - 100mm x 140mm (Single) Insert Colo..
Metal Garage Unit Amendment 3 Amendment 3 Compliant - Manufactured to BS EN 61439-1 & B..
Lamp Holder Type - GU10 lamp holder fitted Size - 86mm x 108mm Lamp not Included Retaining ..
Windsor Range - 2 Gang 13a Plug Socket - W07BCB Our Windsor range is a simple yet ..
Black Nickel Diecast IP65 Shower Downlight SpecificationBrand - UEP .. 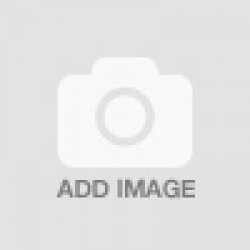 Brushed Chrome - 2 Gang Plug Socket White Trim - W07BCW Our Windsor range is a sim..
Victorian Antique - Plug SocketsPlate Sizes - 13a Double Socket - 94mm x 154mm ..
Windsor Brushed Chrome - 1 Gang Light Switch White Trim - W01BCW Our Windsor range.. 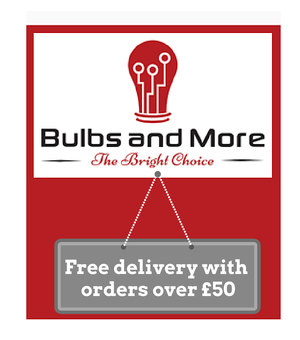 Here at Bulbs and More we supply a variety of lighting products from LED Bulbs to light switches and electrical sockets. We have been supplying the trade since 1980 and now feel its time to bring the savings directly to you. Based in Wolverhampton, West Midlands and supplying all over the UK, whether your just looking to do a little DIY or are a professional contractor Bulbs and More is the best place for you! With over 400,000 items in our warehouse, be sure of finding the right products for you. Live in the West Midlands? Why not pop into our Trade Counter and have a closer look at our fantastic products.